The following morning dawned quite warm despite being winter. The day was to be spent sightseeing once again before I headed back to my incredibly stressful work schedule. The Gurdwara dukh nivaran sahib Patiala was not very far off and I decided to walk it. The street in front of the Gurdwara was lined with hawkers selling their wares. I got myself a cell phone cover and decided to buy a few souvenirs for my family and friends on the way back. 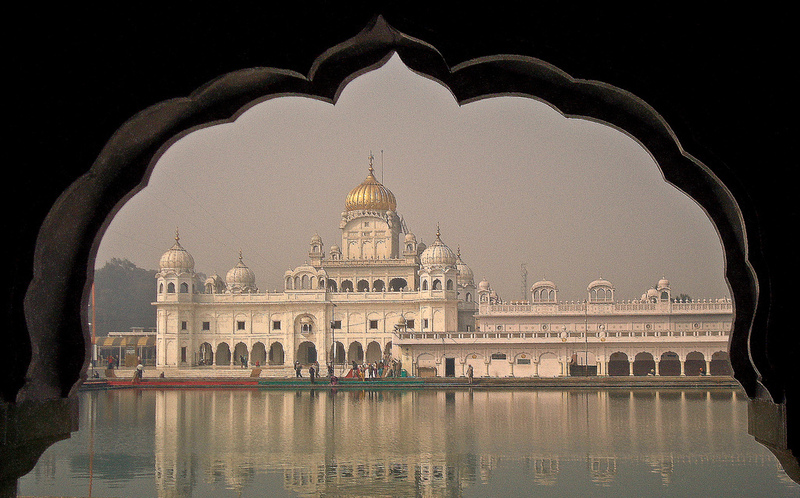 Gurdwara was a sight to behold with its whitewashed walls and domed cupolas. There were several people milling around the courtyard. It was a tourist haven and there were cameras in all directions. People were taking pictures to their heart’s content as I entered the main façade. The gateway was a large arch that could put even tallest man to shame. It was dedicated to the ninth guru of the Sikhs who had come to the village of Lehal, which is now a part of Patiala, to bless the village and eradicate a sickness, which had become the bane of the people. The guru had stayed under a banyan tree next to a pond and the sickness had mysteriously disappeared. 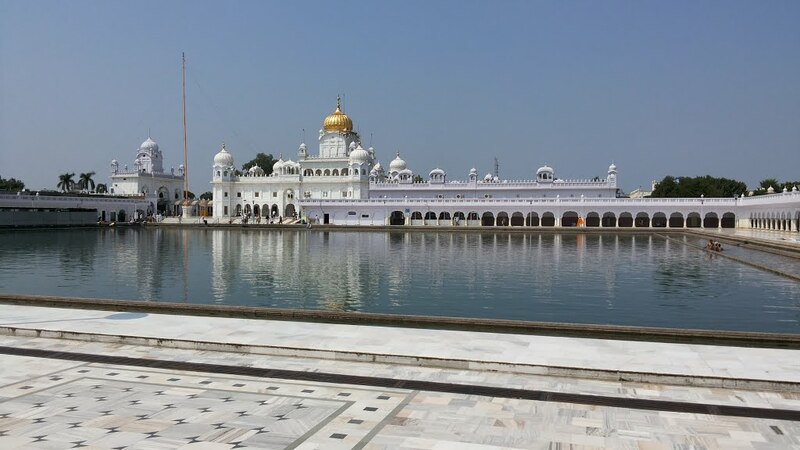 The people believe that the waters of the pond, which now lies next to the altar at the Gurdwara is sacred and contains mystical healing properties. The original sanction of the Gurdwara was initially rejected due to court formalities but finally built and completed in 1942. It was a beautiful place to be at and the courtyard was a spacious one. It was a wonder to see a different religious culture believing devotedly toward a long lost concept. 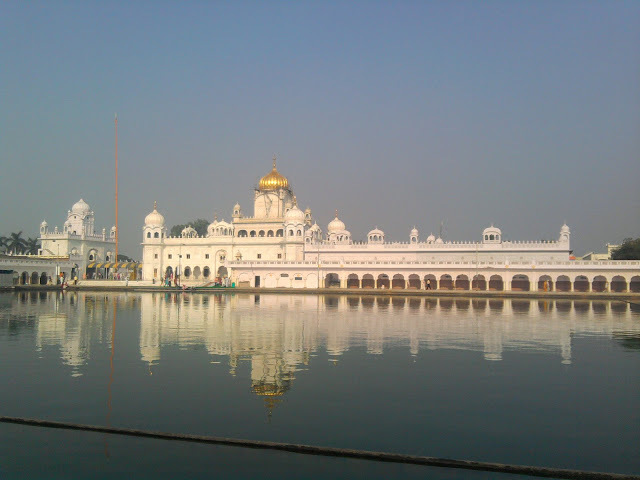 The shrine which forms the basis of the worship in the Gurdwara is an ornate structure. 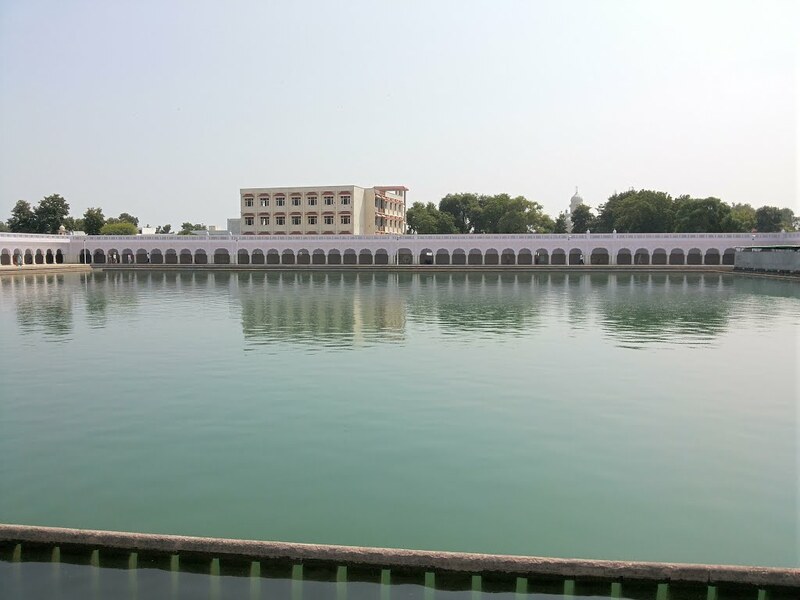 The sarovar that was built alongside it with the waters of the pond is believed to contain the same healing properties, which healed the inhabitants of Lehal all those years ago. I left the place deep in thought about the complexities of human belief and threaded my way toward hotel to enjoy Baisakhi festival celebration, which was the next stop on my charter. This entry was posted in Temple, Travel and tagged gurdwara dukh nivaran sahib patiala. Bookmark the permalink.